We call them snapshot memories. I remember 20 years ago today like it was yesterday. I was in my apartment in Atlanta. I had just gotten the job at Portland State and was planning my move across the country. I had some morning TV on when they broke in with a live report from Oklahoma City. The face of the Murrah Federal Building had been blown off by a massive bomb and numerous people were dead, including many small children who had been in the day care center. I had just finished my dissertation on white supremacist groups after spending several years in the field getting to know these extremists and I had a feeling the perpetrators looked a lot like me. That didn’t stop the “liberal” media going on and on about “Islamic terrorists.” I stayed up that night recording talk radio and listing to Little Limbaughs calling for the burning of every mosque in America. I knew they were wrong. They always are. 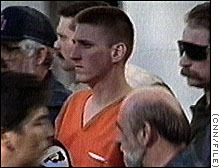 Timothy McVeigh killed those 168 people (including 19 children) BECAUSE he was white. And male. It was quickly revealed that McVeigh was part of the radical right underground. He and his co-conspirator, Terry Nichols, had done time in the militia movement. A diverse subculture, many patriot militia members (not all) believe the federal government has become a puppet of a global Jewish cabal and the only way to “rescue” the country is by waging a “second American Revolution.” (All this is clearly researched in Ken Stern’s great book A Force Upon the Plain: The American Militia Movement and the Politics of Hate.) McVeigh was a virulent racist. 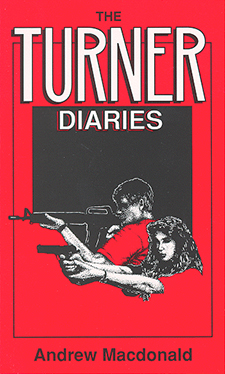 A Gulf War vet, he (falsely) bragged about killing Arabs in Iraq and peddled the racist novel, The Turner Diaries, at gun shows. The story, written by former OSU professor William Pierce, follows a committed gang of racists who want to reclaim America from the “Zionist Occupation Government” (ZOG) by starting a race war. This includes a truck bombing for the FBI building in Washington DC that McVeigh used as the model for Oklahoma City. The book also details the mass slaughter of minorities, liberals, and “race-mixers” who are seen as agents of ZOG. I have a copy of The Turner Diaries that a Nazi skinhead gave me and there is a passage that reveals how this whole thing (McVeigh, the Militia Movement, the skinheads) is really about gender, even more than race. McVeigh was a white warrior. Mark Hamm’s excellently researched book, In Bad Company: America’s Terrorist Underground, reveals how he was backed by Aryan gangsters, hell bent on race war. But he was also a man, who saw violence and terrorism as an acceptable expression of his rage at the system. My dissertation was, ultimately, a feminist analysis of the skinhead subculture. I met a lot of guys like Timothy McVeigh. Their racism masked the fear that their traditionally defined masculinity was being stolen from them. Black men were taking their girlfriends away. Jewish elites and immigrants were taking their jobs away, minorities were taking their tax dollars away, and “lesbian feminists” were taking their women away. And the only way to “reclaim America” was through hate and violence. Racism was just one manifestation of their gender panic. The skinheads I knew in the 1990s complained more about First Lady Hillary Clinton than any black male celebrity. “She’s got this country by the balls,” one skinhead told me. I see the same thing in elements of the Tea Party, which I think McVeigh would have loved. It’s made up mostly of old white men (and their dutiful wives) who want to “restore” America to some point before the 1954 Brown v. Board of Education decision, when men were men and women knew their place. But today is a day of remembrance. 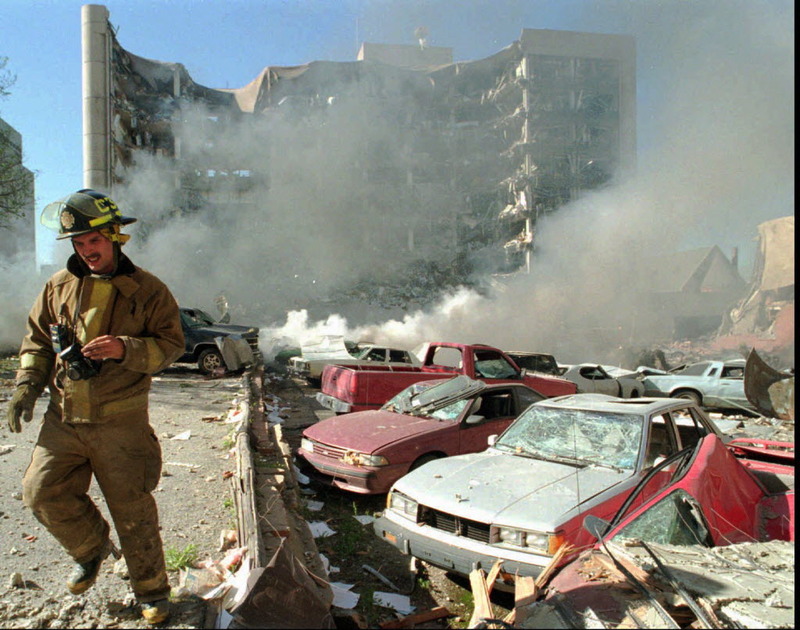 I’ve been to Oklahoma City twice since the bombing. There will forever be a giant scar in the city to remind us of that day 20 years ago and hopefully people will remember that it was a white male acting, not as a crazy person, but as a white male. If you go to the memorial you will see a field of 171 empty chairs for the victims. For the 168 victims. The ranger will only explain this if you ask him or her. It’s because three of the victims were pregnant women. The day I was there, he had tears in his eyes as he said it. The threat of right-wing terrorism by white men is very real in the 2010s. They can’t process the world as a more equitable place. They are not going to be able to handle a female as a viable candidate for president in 2016. Get ready for the call to restore, reclaim, and reboot America. Get ready for more McVeighs. Of course posts like this generate a backlash from those white men who are a bit fragile, so let me say that there are also women and non-whites who do horrible things. The difference is white men typically do it in defense of the status quo. These books are mentioned in this post and are available at Powell’s by clicking the covers below. < Previous I surrender the remainder of my time to my daughter. Next > Friends: My George Baily moment. I remember Oklahoma also, but I was much younger and so ignorant. I didn’t quite understand, and I felt no connection to what had happened. My ex-husband is one of these white men, it wouldn’t surprise me if he were now a Men’s Rights Activist, or at least openly espoused those beliefs. A friend once told me that change is inevitable and that what we’re seeing is the last, desperate graspings of a dying breed. If that is true, then it seems that damage control and compassion are our two best options, as the move toward a more just and equitable world marches onward. The human race has a ways to go; the good news is: Enlightenment cannot be stopped!